To pursuit for knowledge is never an ending process. The minute, one stops to learn, that is when one calls it a day and certainly you would feel old. In pursuit for knowledge, we should try to think and feel young. Growing up and growing old are two different feelings. Growing up is challenging but growing old is sorrowful. It was my first son that awoke my thought and feeling. He said the young would accept the old when only the old could accept the young as well. Learn the internet. Explore the unknown and knowledge from it's power. He was damn right. All of a sudden, I feel I am still growing up. Wisdom of life cannot be taught or given, but rather one has to pursuit and to experience life to learn it. Knowledge is from the mind but wisdom is from mind and heart. The power of knowledge could be bad and good but wisdom always symbolizes one to feel good. With knowledge and refined with the wisdom of life, one should be able to live a happier and meaningful life. I had been a sales person for 40 years. I remember my first 30 years of selling was knowledge based. Later the past 10 years I had developed my career as a working hobby. A job could be tiring but a hobby is a joy and ever lasting. 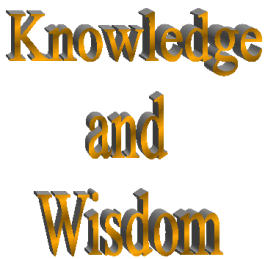 Simply because I have added wisdom into my knowledge base selling to make it more refining. Today my selling has more joy and laughter. My work has fun and understanding. My talk and approaches have love and feeling. Wisdom created all these. Whether in work or living, combine knowledge with wisdom, your work and life could be more pleasant and more interesting. Is not easy at the beginning but if you don't try, you would not know it is easy. I sincerely hope my sharing could help my fellow colleagues. If you do, then you are truly a special class of agents away from the rest of the industry. Because you have knowledge refined with wisdom. Spoken by Mahatma Gandthi; "Happiness is when you think, what you say, and what you do are in harmony."